Printers from Currys PC World – Photo Printers, Laser Printers, Wireless Printers, All in One Printers, Scanners and more online! Whether you’re working from home, printing photos of the family or need a simple device for tickets and other bits, you can browse our range and easily pick out the things you need. Explore our range of printers, scanners, paper and ink, learn about the most important things to consider or check out our buying guide for more detailed information. 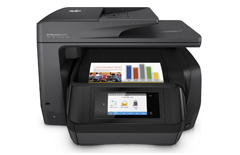 Stay productive with a laser or inkjet home or office printer. Digitise documents with a scanner, and get creative with photo printers and 3D printers. Stock up on ink, toner and filaments. Best for printing up to 50 pages a week, mainly in black and white, or printing boarding passes and e-tickets. Ideal for busy homes and students. Photo printers are best for printing up to 100 pages a week and using lots of colour – perfect for holiday photos, pictures and presentations. Office and laser printers are best for printing over 100 pages a week in both colour and black and white, including high volume documents and presentations. Scanners are great for creating digital copies of documents or photos, enabling you to store them forever and share from your computer. Along with standard cartridges and toner, many printers have XL or photo-specific ink options to help you save money or get the best possible pictures. Home printing has been around for years, and while connectivity options and performance have improved dramatically, the way you buy and use ink has remained broadly the same. Until now. 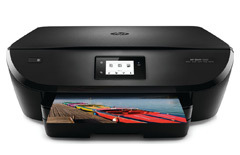 Both HP and Epson have created great new ways to keep your printer topped up that can make your life simpler. 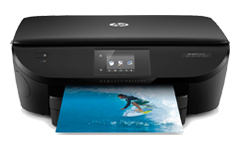 Instant Ink is a feature built into certain HP printers that allows you to pay a fixed monthly fee to print a pre-defined number of pages per month. Ink is automatically posted to your address whenever it’s required, with the monthly payment inclusive of postage and recycling. Instant Ink can help you save money and ensures you always have ink when you need it - perfect for businesses. 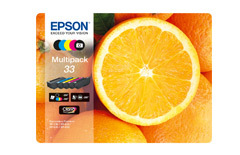 Epson EcoTank printers feature unique ink tanks that can be refilled and topped-up as necessary using cost-effective ink bottles. The bottles provide up to 6500 prints each and can help you reduce printing costs by up to 65% - ideal for offices and busy homes. The first thing to decide is whether you need an inkjet or laser printer. 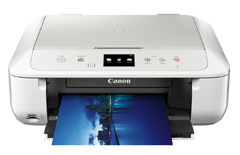 Inkjet printers are great for home printing thanks to photo quality prints, lower ink costs and more connectivity options. Laser printers are suited to regular use and printing in high volume thanks to large capacity toners and far quicker print speeds. We clearly list all the ways a printer can connect, making it easy for you to find one to match your devices. Look out for AirPrint for iOS, Google Cloud Print for Android, WiFi for PC and Mac and NFC for the latest smartphones and tablets. Many printers feature a mixture of connection options, so you can print from all your devices with ease. Typically, laser printers work quicker than their inkjet counterparts, although there can be significant variation between brands and type. We list all of our printers’ speeds in either pages per minute (ppm) or images per minute (ipm) depending on the type, so you can quickly find a printer to suit your requirements. If you’re new to home printing you’ll be surprised at just how easy it is to print photos from your smartphone and tablet. 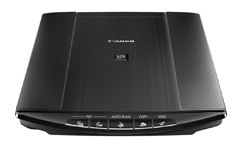 A wireless home printer is the perfect choice if most of your documents and photographs are accessible online. A home business printer combines a printer, scanner, copier and fax machine for fast and easy professional results.